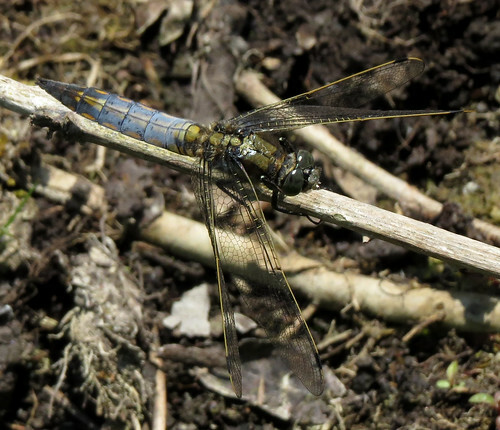 A busy second half of June saw a number of species recorded at Tophill Low NR, East Yorkshire, and several of them proved to be new to the site list. 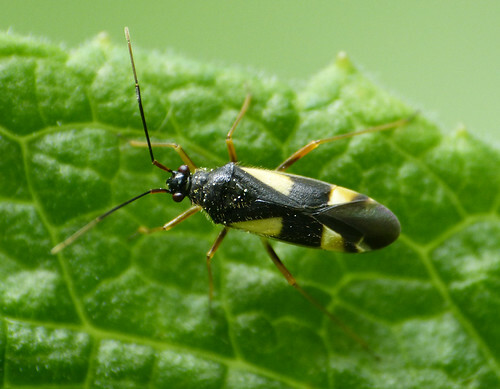 Mirid bugs don’t usually feature so here are the two photographed by Doug Fairweather – Miris striatus above and new for the site Dryophilocoris flavoquadrimaculatus below. 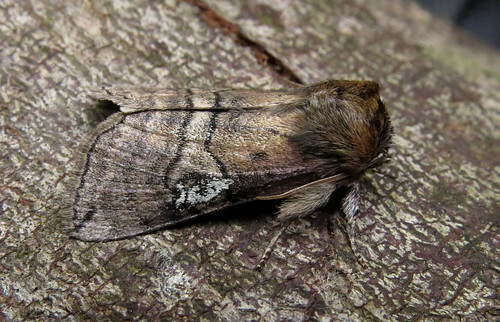 The warmer weather during the latter part of the month yielded a diverse selection of moths. 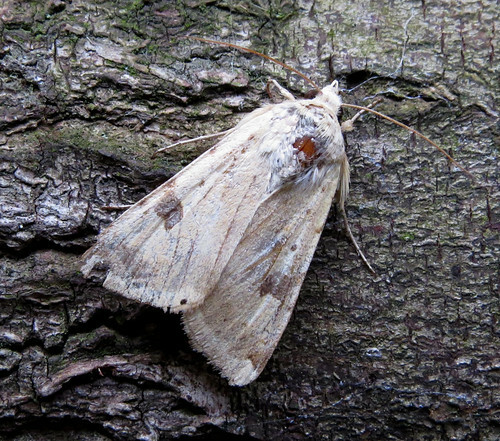 A total of 232 species have been recorded in the opening six months of the year – including a fifth of them recorded away from light trapping. 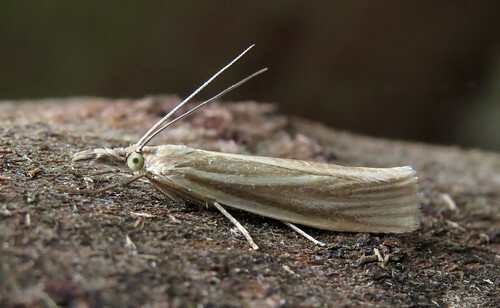 Highlights during the second half of the month included 3 new species – Mompha subbistrigella, Phycitodes binaevella and Crambus perlella. 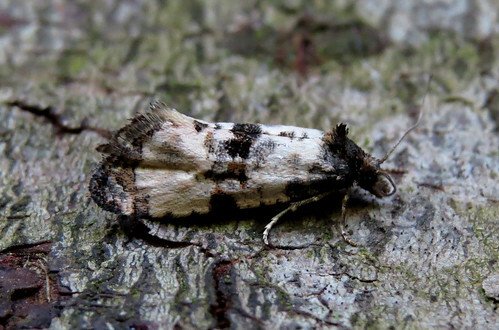 Two Cochylis atricapitana were attracted to light – these being the second and third records for the site after first being seen in 2013. 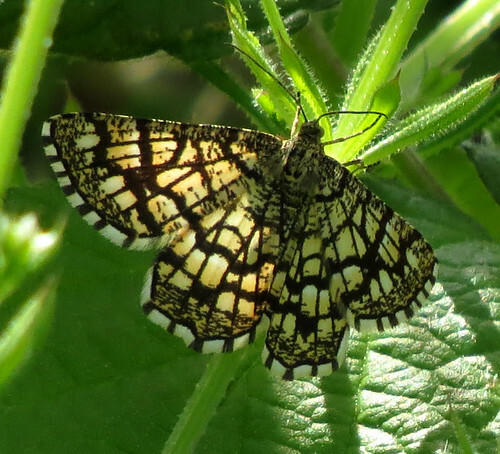 Two Latticed Heath Chiasmia clathrata were noted in the field on the 24th and 27th. First recorded in 2005 and last recorded in 2009, these become the fourth and fifth records. 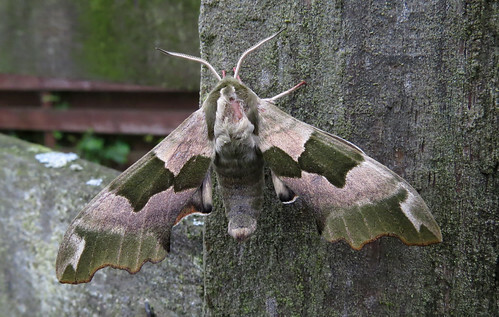 Lime Hawk-moth Mimas tiliae have been scarce throughout Tophill history – so one taken at light on June 12th was only the seventh site record since 1999. 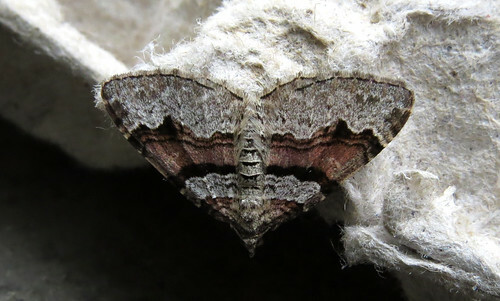 Other site scarcities included the second record of Oblique Carpet Orthonama vittata on the 25th and single Seraphim Lobophora halterata on the 12th and 25th – the fifth and sixth records since 1999. 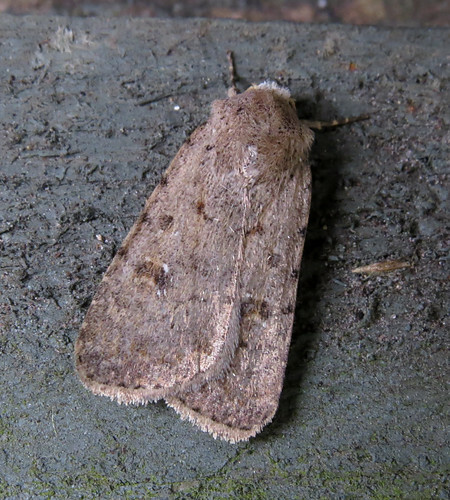 A selection of immigrants featured two Hummingbird Hawk-moths Macroglossum stellatarum on the 27th, single Bordered Straw Heliothis peltigera on the 28th and 30th and a Pale Mottled Willow Caradrina clavipalpis, also on the 28th. 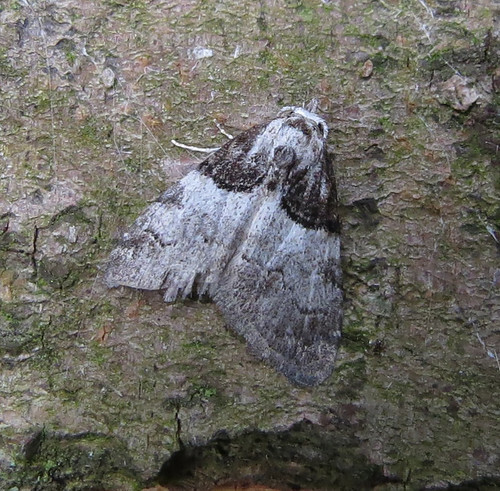 Some of the more common species noted included Short Cloaked Moth Nola cucullatella, Flame Carpet Xanthorhoe designata and Figure of Eighty Tethea ocularis. 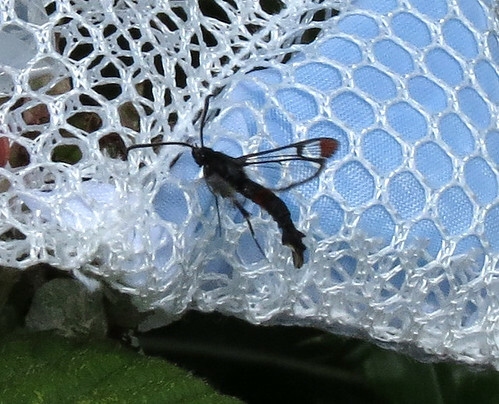 After much searching, the first Red-tipped Clearwing Synanthedon formicaeformis of the year were noted from the 29th, when a minimum of 13 were seen. However, none were posing for the camera. 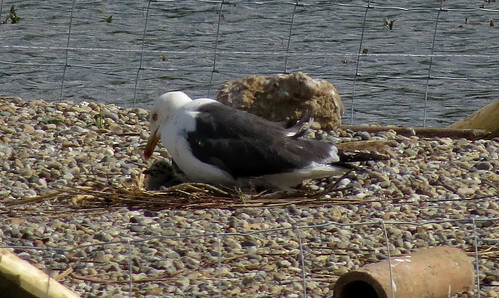 After years of waiting, Lesser Black-backed Gull Larus fuscus graellsii became the latest addition to the breeding avifauna of Tophill with young seen from the 27th. Disappointingly, they abandoned, or had their young predated, in early July. 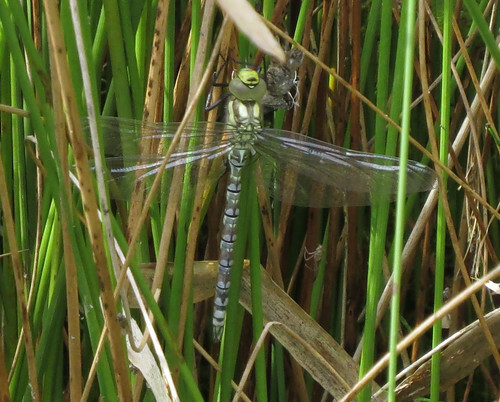 The total of Odonata species on the wing increased during the second part of the month with the first Southern Hawker Aeshna cyanea emerging on the 22nd, whilst Large Red Damselfly Pyrrhosoma nymphula and Hairy Dragonfly Brachytron pratense were still on the wing in the final week of June. 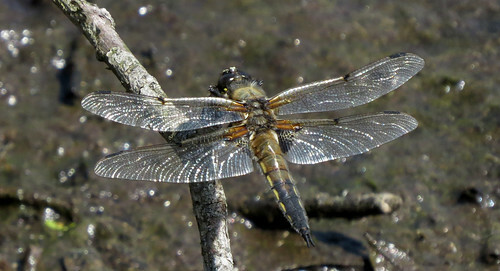 Good numbers of Four-spotted Chaser Libellula quadrimaculata could be found on sunny days, with sporadic sightings of Broad-bodied Chaser L. depressa. 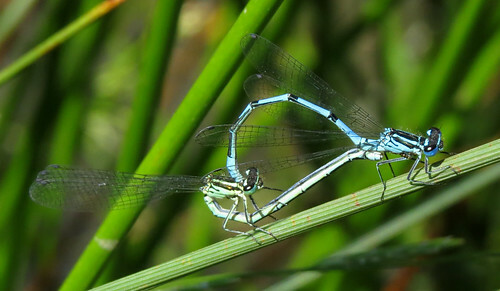 Black-tailed Skimmer Orthetrum cancellatum proved easier to find away from water, while both Common Blue Damselfly Enallagma cyathigerum and Azure Damselfly Coenagrion puella dominated the numbers across the site. 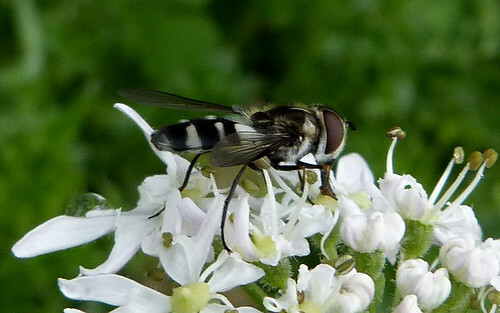 Leucozona laternaria was one of the most photogenic of the Hoverfly species seen during June – not new, but several new species have been added to the Tophill list so far this summer. 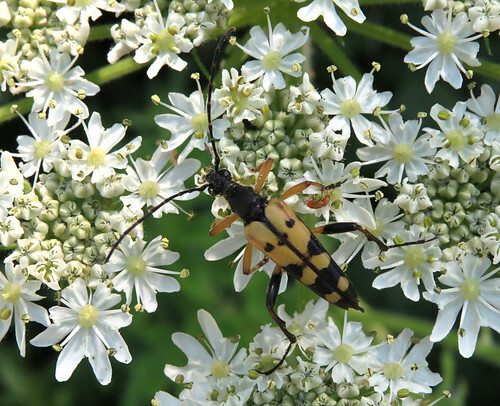 Cerambycidae showed well in varying numbers as June drew to a close. 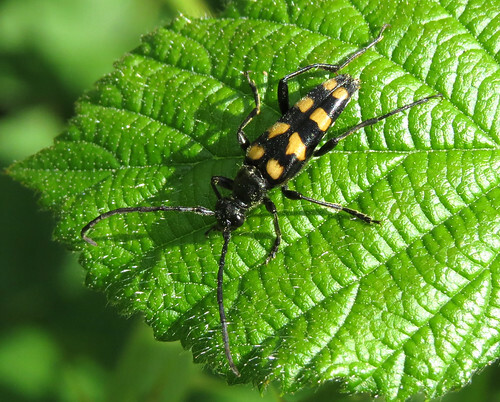 Golden-bloomed Grey Longhorn Agapanthia villosoviridescens were easily visible around the sites paths, before the more common Black and Yellow Longhorn Rutpela maculata attracted the eye – along with the less numerous Four-banded Longhorn Leptura quadrifasciata. 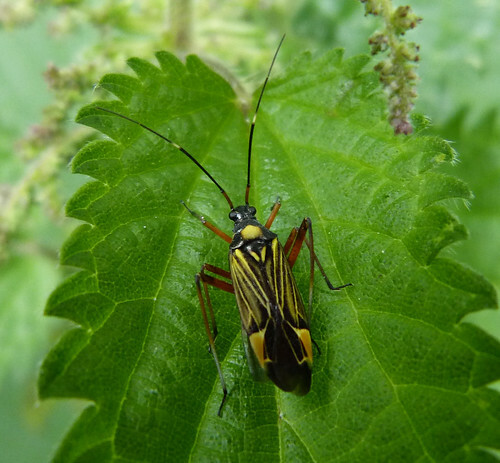 The latest new species to the list involved the easy to overlook Grammoptera ruficornis. 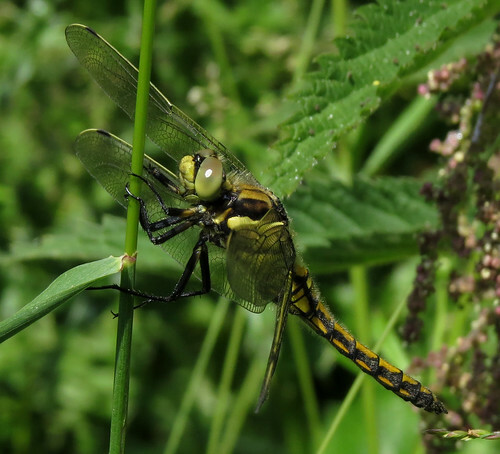 For the latest from Tophill Low NR, check out the official website here.